In early May 2018, hundreds of small earthquakes were detected on Kīlauea’s East rift zone, leading officials to issue evacuation warnings. On May 3, 2018, the volcano erupted in lower Puna after a 5.0 earthquake earlier in the day, causing evacuations of the Leilani Estates and Lanipuna Gardens subdivisions. A seemingly related 6.9 magnitude earthquake occurred on May 4. By May 9, 27 houses had been destroyed in Leilani Estates. In conjunction with the outbreak of lava in lower Puna, a lava lake at Halemaʻumaʻu Crater at Kilauea's summit began to drop. The Hawaiian Volcano Observatory warned that the lowering of the lava lake increased the potential for phreatic (steam) explosions at the summit caused by interaction of magma with the underground water table, similar to the explosions that occurred at Halemaʻumaʻu in 1924. These concerns prompted the closure of Hawaiʻi Volcanoes National Park. 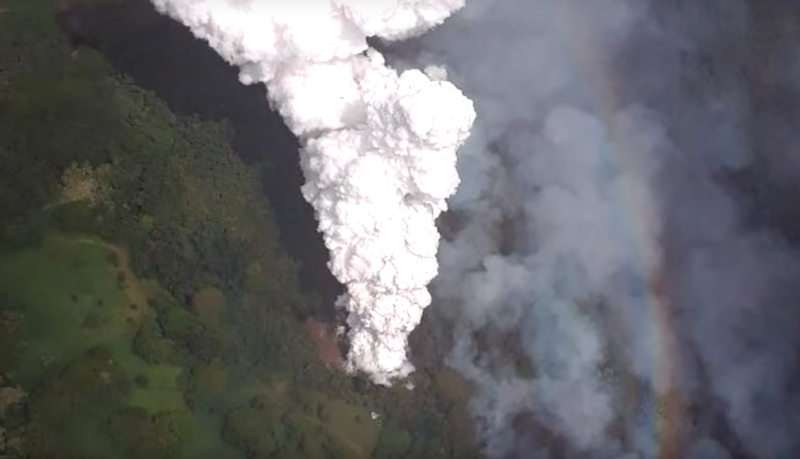 On May 17, at approximately 4:15 a.m., an explosive eruption occurred at Halemaʻumaʻu, creating a plume of ash 30,000 feet into the air. 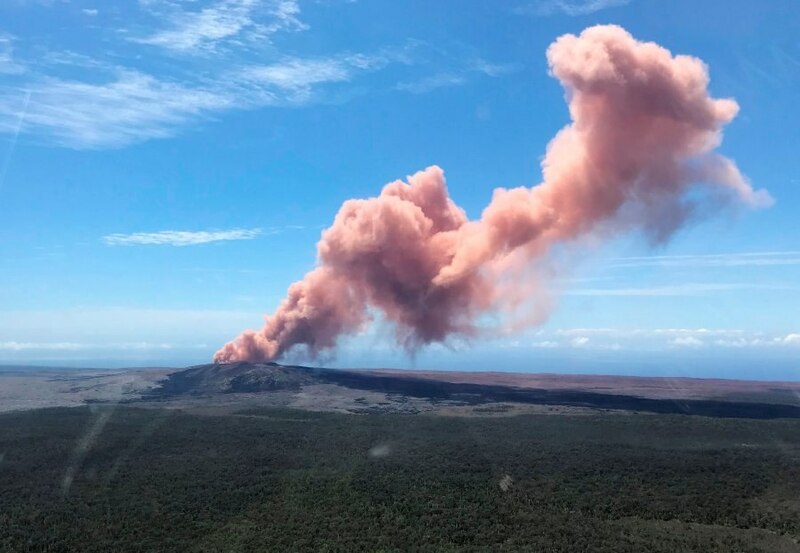 By May 21 two lava flows had reached the Pacific Ocean, creating thick clouds of laze (a toxic lava and haze cloud), which is made up of hydrochloric acid and glass particles. By May 31, 87 houses in Leilani Estates and nearby areas had been destroyed by lava. Advancing lava flows caused additional evacuation orders, including the town of Kapoho. By June 4, with the lava having crossed through Kapoho and entered the ocean, the confirmed number of houses lost had reached 159.